Got Time for the Two:Thirteen Trailer? It's ten years after the kidnapping of Martin Bristol. Taken from a backyard swing at his home at the age of six, he is forced to witness unspeakable crimes of a deranged madman. For years, Martin's whereabouts have remained a mystery...until now. A psychological horror about a young woman coping with an unwanted pregnancy after moving into a seemingly haunted house. When a young doctor suspects she may not be alone in her new Brooklyn loft, she learns that her landlord has formed a frightening obsession with her. A group of friends whose leisurely Mexican holiday takes a turn for the worse when they, along with a fellow tourist, embark on a remote archaeological dig in the jungle where something evil lives among the ruins. A city-slicker family, tired of the urban grime and crime, moves to a quaint little lakeside village. All seems like paradise - until corpses start showing up in the water. Will the family be the new victims? 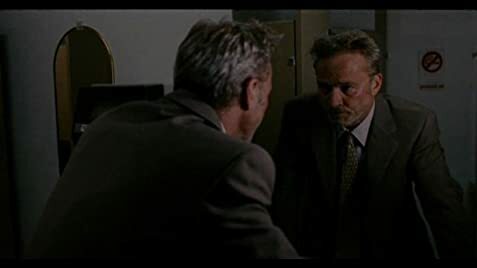 RELEASED IN 2009 and directed by Charles Adelman, "2:13" was written by and stars Mark Thompson as a troubled L.A. detective chasing down an obviously sick serial killer who has a fetish for theater masks and mutilating his victims. Teri Polo and Jere Burns play his cop associates while Mark Pellegrino appears as a distraught victim of the murderer. Deborah Carson is also on hand. This is a grim psychological crime thriller with grisly elements, bordering on horror, similar to "The Silence of the Lambs" (1991) and, in some ways, "The Glimmer Man" (1996). The movie is low-budget, but competent enough with a palpably grey, austere tone. Teri is thoroughly stunning throughout, nice & curvy. I enjoyed her character's relationship with the disturbed (alcoholic) protagonist; you could sense the warmth between them and it's kinda moving. There's a focus on psychotherapy, which is reminiscent of "Equus" (1977). If that's your thang, you might be interested. Also consider checking out the micro-budgeted "Sheltered" (2010), which shares some similarities, but with an altogether different plot (see my review). THE MOVIE RUNS 96 minutes and was shot in Los Angeles.